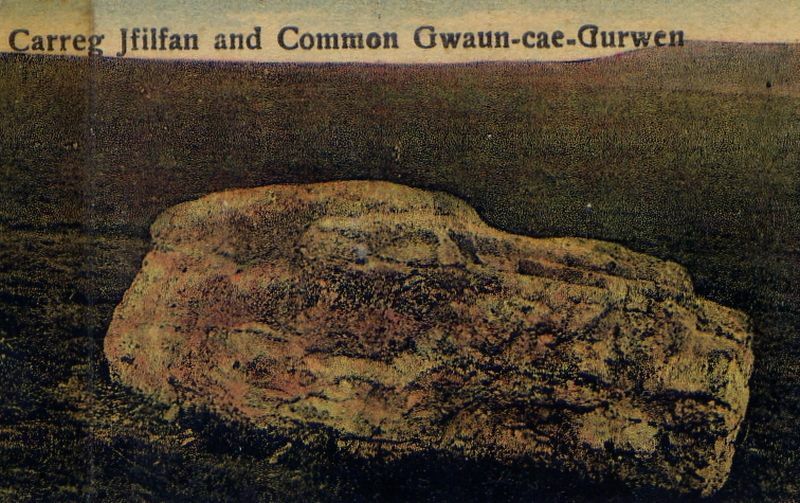 Carreg Ffilfan, (note the mis-spelling in the above image) is to be found on Gwaun-cae-gurwen common, to the north east of the primary school and north of the road to Tairgwaith. The meaning of the name is not certain. Some say that it is a mutation of "mule place" or "donkey place" due to it being a landmark where travellers would stop to rest their animals on the way to market. 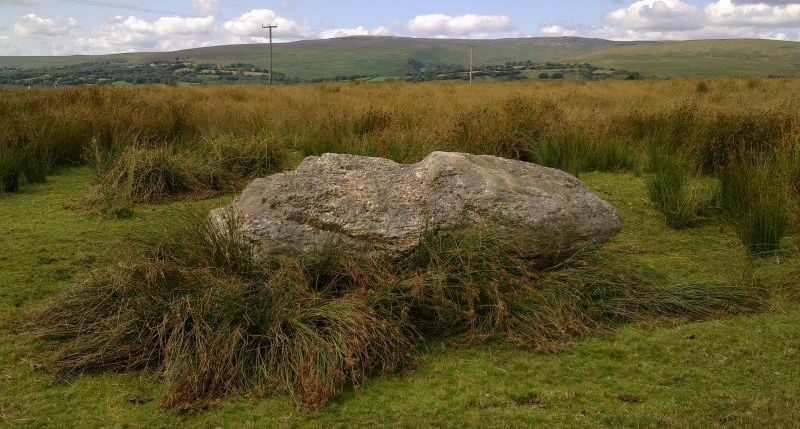 It is possible that Carreg Ffilfan is what is known as a roche moutonne; a rock which is shaped by a glacier passing over it, smoothing the top and carving out jagged edges on other sides. It is also possible that the rock was deposited there by a glacier rather than merely being shaped by it. 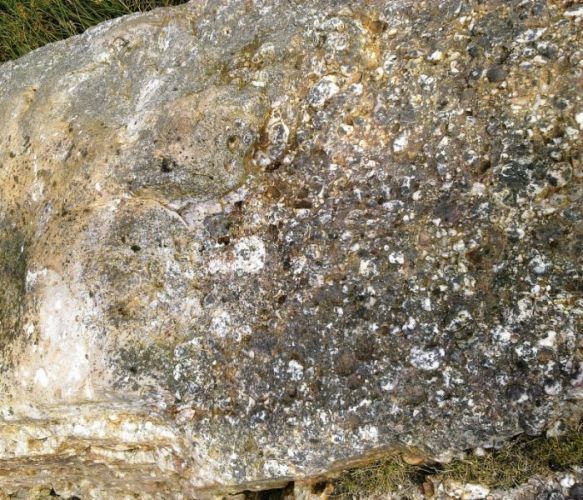 To a layman, it's composition seems to be that of a Dolomitic Conglomeration as it appears to consist of limestone, sandstone and calcite among other things. 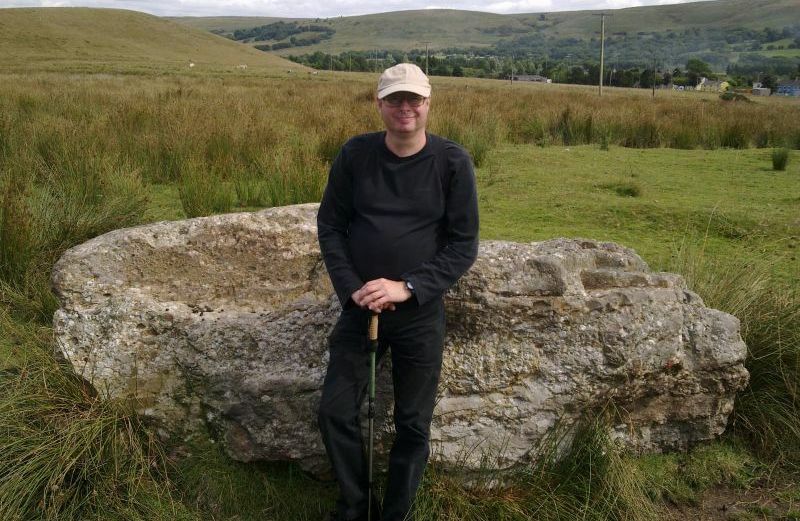 It should be noted that these observations are that of the writer and not of a qualified geologist and should therefore be taken merely as a suggestion.